What data can I get from Awin? Awin connect advertisers and publishers through affiliate marketing. Transaction date. The date when the transaction occurred. Validation date. The date when the transaction was validated in Awin. 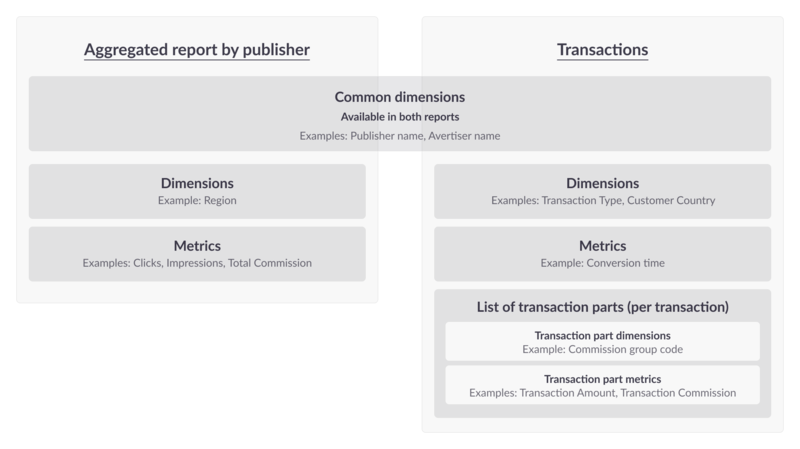 This report provides aggregated metrics grouped by publishers. This data comes from a list of individual transactions. The transactions are attributed to either their transaction date or validation date depending on your choice when connecting the source. *Commission group dimensions are only available for the metrics "Transaction amount" and "Transaction commission". The reason for this is that the commission group data is provided separately for each part of a transaction, and not for the transaction as a whole.